And long and loud the bell's slow chime is tolled. And the stream winds in brightness through the vale. That meet the earliest sunbeams of the sky! And peering on the sight the white sails shine. Round their torn breasts and throbbing temples play! To breathe of comfort never to return. And o'er their cheek the tender hectic plays. Touch soft the wakeful nerve's according string. From those that loved them, those they loved so much! And softens every scene at every touch. The world retires, and its dim prospect fades! And bring back feeble life's exhausted tide! And warbling Muses wake the lonely lyre. Of love--that Virtue would protect and bless. And bearing still the arrow at his heart. And o'er his head closed the dark gulph of time. Which now seems smiling on his verdant grave! On that sad morn he heard them for the last! And thought our way was strewed with fairy flowers! Like thee, poor RUSSELL, 'neath the turf are laid! And on the lids the glistening tear detain! Marked by much pleasure some, and some by tears! Now lives with me these mantling views to hail. And charm a while my solitary way. Clifton, to thy white rocks and woods adieu! Authors own notes: "The dusky mart" is Bristol. The Rev. 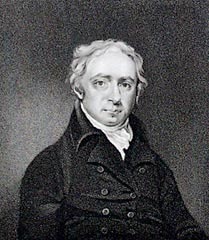 Thomas Russell, Fellow of New College, Oxford, author of some beautiful sonnets, died at the Hotwells 1788, in the twenty-sixth year of his age. His poems were first published by Mr Howley, with whom we wooed the Muses together on the banks of Itchen. Headley was a pupil of Dr Parr. The Hotwells is a district of Bristol beside the River Avon and just upstream from Clifton. The name comes from the hot springs of the area.